The Citadel 31, Jacksonville 9. I would have gladly taken a one-point victory (admittedly, that is almost always the case for me), so Saturday’s result was altogether a pleasant one, particularly if you don’t think about the first quarter too much (a stanza that Walt Nadzak referred to in the radio postgame show as “horrendous by any standard”. That last link is worthwhile if only to check out The Citadel’s new football uniforms, which in my opinion are a vast improvement over those of recent years. Of course, it wouldn’t be a surprise to see the team break out another set of unis for the game next week against Furman, so we’ll just see how things develop on the uniform front as the season progresses. Last night’s football uniforms were more along the lines of a “back to basics” look, with no school name on the front (thus avoiding the whole “Citadel” vs. “The Citadel” issue) and no player names on the back of the jerseys (which was a mild surprise). Also absent: ‘TV numbers’ on the shoulder pads. The infamous ‘side panels’ championed by Nike have been ditched, thankfully. The weird striping on the pants remains, but it isn’t nearly as hideous without the aforementioned side panels on the jerseys. The front of the jersey includes small logos for the SoCon and Nike, as well as a “C” on a navy-bordered neckline, which looks respectable. The most noticeable uniform change was the new helmet logo. Having a new helmet logo almost every year is one of The Citadel’s oldest traditions, dating back to 1861, when cadets firing on the Star of the West had to stop their assault midway through the action in order to change to a new cap badge. The 2011 logo is a block “C”, with “navy digital camo” styling. This picture of Brandon McCladdie in the above-linked photo gallery is a good look at it. I’m on record as liking the block C as a helmet logo, although I prefer it to be white, but I can get used to the camo. The only problem is that the chinstraps tend to make it harder to see at times, but I’m not sure there is much that can be done about that. All in all, I was pleased with the uniforms, and I’m a tough grader. Good job. Before I get to the game itself, I want to note that the corps of cadets seemed to be mostly, if not completely, present and accounted for on Saturday night. I have been concerned at times over the last couple of years that a significant percentage of cadets were not in the stands. I realize that there are a lot of “duty” cadets, but still. However, on Saturday the cadet section seemed to be appropriately filled. The corps did make its presence felt at times, and in general the noise level was good. Improvement is possible and necessary, though it was only the first game, so I’ll give the corps a solid “B”. [Terrell] Dallas, a senior who led the Bulldogs with 665 rushing yards last year, injured a knee on The Citadel’s first play from scrimmage. Coach Kevin Higgins said it appeared that Dallas injured his medial collateral ligament, but that more tests will be conducted [Sunday]. Losing Dallas for an extended period of time would be a tough break for the Bulldogs (and for Dallas, obviously). We’ll have to wait and see. — Cass Couey had a solid game punting. His first punt, in particular, was outstanding. In general, the special teams were very hit or miss. The Bulldogs had one missed field goal and one very poor coverage job on a kickoff (where Ryan Sellers made up for his missed FG with a touchdown-saving tackle). Then there was the fumbled punt inside the 5 (that JU converted into a TD) and a near-disaster on another muffed punt (and what a game-changer that could have been; on the next play, Ben Dupree scored on a 58-yard TD run). The Citadel appeared to tip two of Jacksonville’s punts and was credited with a block on a third, although from my vantage point I wasn’t sure that Domonic Jones really blocked the punt as much as it was simply lined right at him (with a “wormburner” trajectory). — This was arguably the first game since the debut of Triple O’Higgins in which the offensive execution was good enough that all the options were readily available, so to speak. Of the five Bulldog fumbles (two lost), only one was on an exchange. There weren’t so many negative plays this time around, so The Citadel wasn’t constantly in third-and-forever mode and could keep things “on schedule”. As the game progressed, the Bulldogs were able to key off JU’s defenders, eventually adjusting to what the Dolphins were doing, so after Dupree had burned JU on two long scoring plays, he was then able to pitch out when Jacksonville moved to stop him. The relative effectiveness of the offense also allowed for things like the end-around play to Kevin Hardy. I’m not going to pretend to be an expert on offensive line play, but even from the stands some things are easy to figure out, like the fact that Mike Sellers has tremendous potential. How often is a team’s center considered an offensive weapon? — I won’t go into great length about the defense, but it was very good for the entire game, as the numbers indicate. The defensive line as a group was excellent, with Derek Douglas the standout, but the ‘backers and backs were on their game as well. Jacksonville had no big pass plays, and its running game was completely shut down. The only real negative was the lack of forced turnovers (just one). — The Bulldogs only committed two penalties, continuing a trend from last season. At The Citadel, the law is respected. Part of the lack of forced turnovers for the Bulldog D can be credited to JU quarterback Josh McGregor (21-33, 208 passing yards, no interceptions), who I thought was impressive in defeat. His team suffered from a lack of size and (to a lesser extent) speed, and also from an absence of depth. Scanning the sidelines, I noticed that Jacksonville had dressed no more than 55 players (and that may be a generous estimate). If you want to know the difference between scholarship and non-scholarship football, that is it in a nutshell right there. It’s not going to be easy for Kerwin Bell to get his team to rebound from its loss on Saturday night. JU had put a lot of eggs into a “playoffs-or-bust” basket, and if those eggs aren’t already broken, most of them are cracked. To even draw playoff consideration, the Dolphins will have to win their remaining ten games, including Sunday’s game at Western Illinois, a 2010 playoff participant. 9-2 with a Pioneer League title (which would also include an OOC victory over Charleston Southern) would not be good enough. 10-1, quite honestly, probably wouldn’t be good enough unless A) Western Illinois has a good season, and/or B) The Citadel has a good season. I certainly hope option B comes to pass. 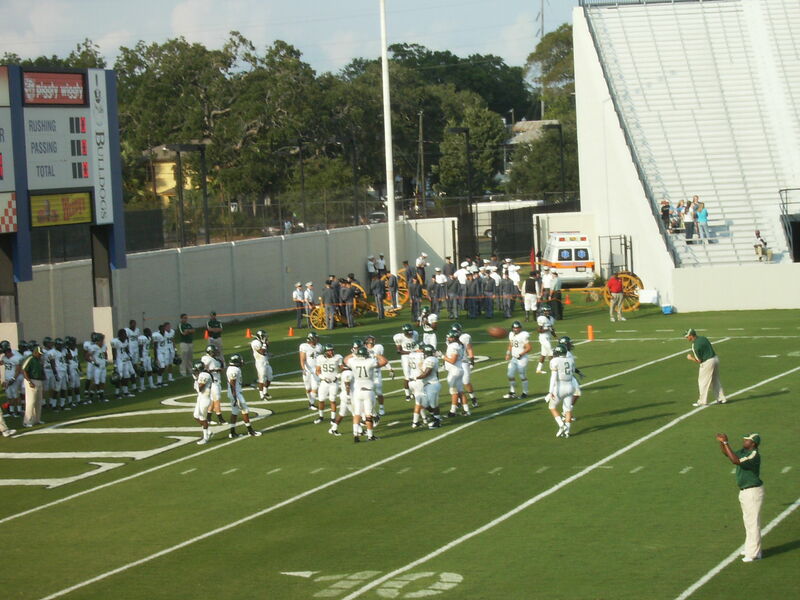 Will The Citadel have a good season? We’re about to find out. Over the next seven weeks, the Bulldogs will play six games, all against Southern Conference competition, three at home (including next Saturday) and three on the road. I’ll conclude this post with some pictures I took at the game. Traditional reminder: I’m a bad photographer with a below-average camera. If you want to see good pictures, be sure to check out that Post and Courier gallery. I do try to take pictures of offensive and defensive formations, because some people are interested in that (especially the triple option stuff). 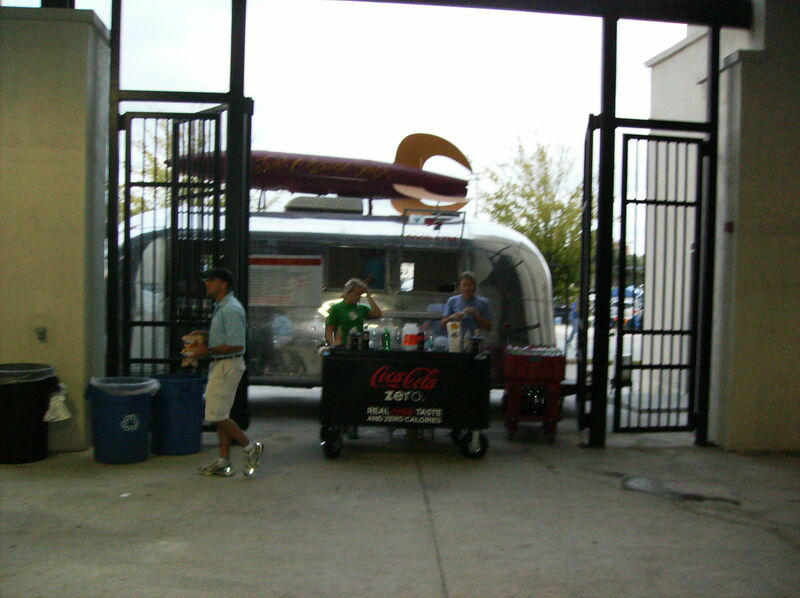 I also threw in a couple of special teams photos and a shot of something called “Cosmic Dogs”, which is a new vendor under the stands. It is, naturally, out of focus. Now that all the non-conference games have been played, it’s time for Southern Conference action to begin. The Citadel will begin the SoCon slate by going on the road to face its traditional league opening game opponent…Furman. Uh, Furman? As the first conference game of the season? In September? When has that ever happened? It’s happened once before. In 1976, the Bulldogs and Paladins met on September 25 (same date as this year) in Greenville (same locale as this year) to play the league opener for both schools (same situation as this year). 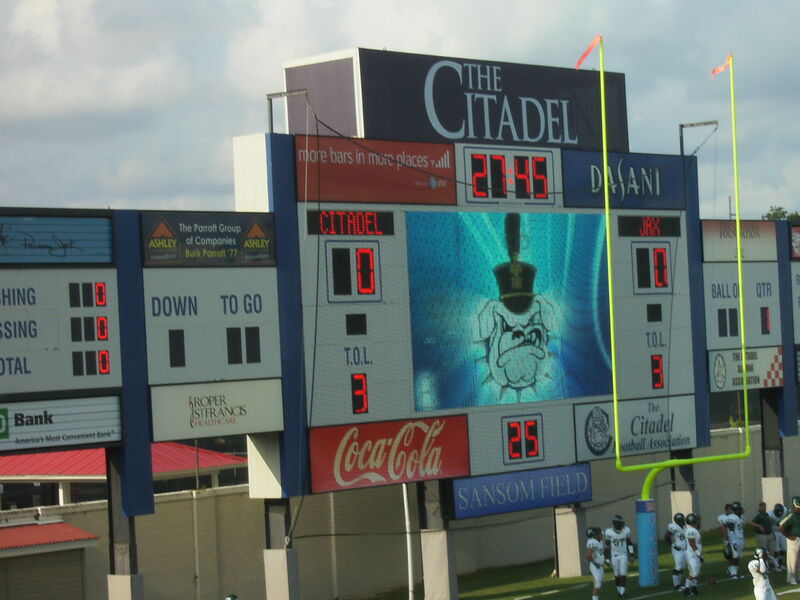 The Citadel edged Furman that day, 17-16 (hey, that can be the same too, as far as I’m concerned). The other 88 gridiron meetings between the Palmetto State schools took place in October or November. Occasionally you will hear someone (often a Paladin supporter, but sometimes a Bulldog fan) gripe about how the game should be played at the end of the season, “like it used to be,” and blame somebody (The Citadel’s former AD, Walt Nadzak, usually plays the bogeyman) for the end of “the tradition” that was the season finale. I want to delve into this a little, because the notion that Furman and The Citadel used to always play at the end of the season is wrong, and so is the idea that there is an implied tradition with regards to end-of-season meetings for either school. 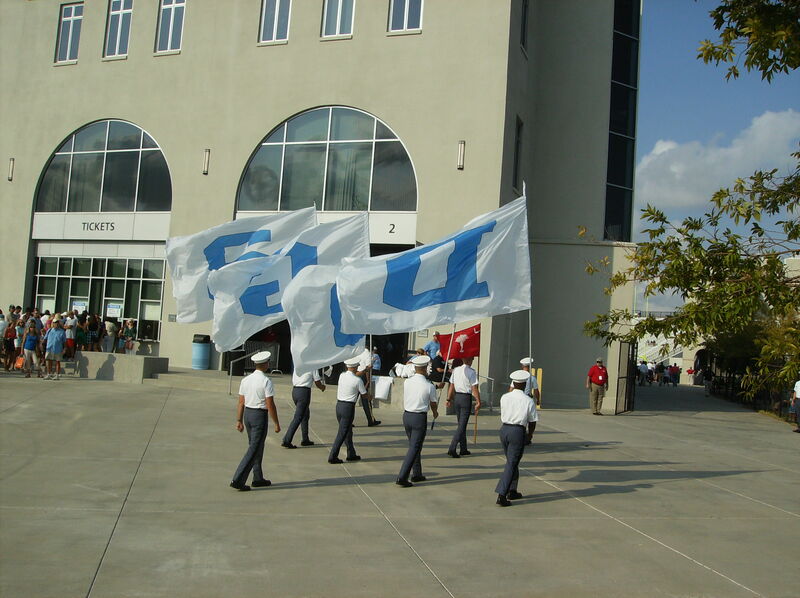 The Citadel and Furman have met 89 times. On 19 of those occasions, the game was the last game of the (regular) season for both schools. The Citadel and Furman met in the season finale in 1965, 1966, and 1967, and then for sixteen straight years, from 1977 through 1992. Prior to that 16-year stretch, though, the game was generally a midseason clash, much like Clemson-South Carolina was for many years (“Big Thursday”). The opponent that has been Furman’s season-ending opponent most often is actually Clemson, and the Paladins also have had numerous seasons end with games against Wofford and UT-Chattanooga (which replaced The Citadel in the last-game rotation for a decade). Furman has finished campaigns with opponents as diverse as Georgia and Maryville; as recently as the 1970s, the Paladins ended seasons against Louisville and Wake Forest. Tangent #1: While researching Furman’s football history, I enjoyed looking through the school’s excellent media guide, which includes some cool photos. My personal favorite is the picture of the 1927 squad, known as the “30-Mule Team”, which went 10-1 and appears to have been sponsored by Target. 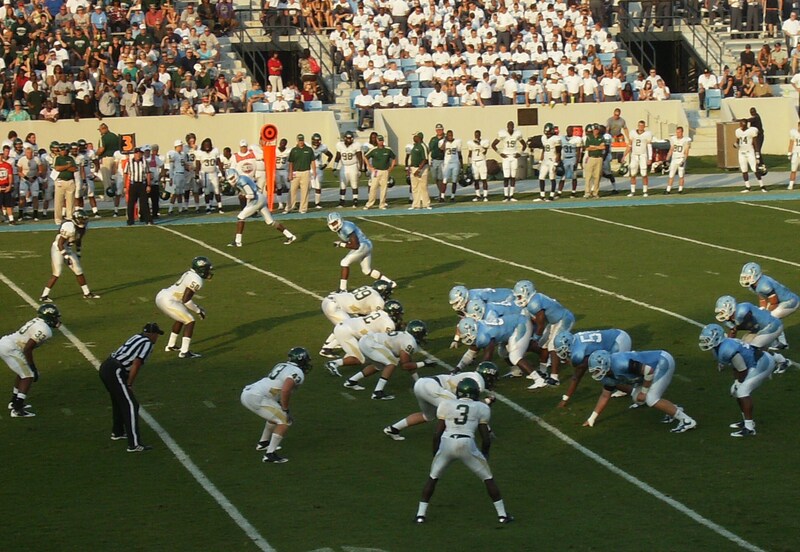 The Citadel has finished its season with Furman more than any other school, but has ended its season with South Carolina almost as many times (17), and has concluded numerous campaigns with Davidson, Wofford, and VMI. The full list of final opponents for the Bulldogs is long and includes both Florida State (during the Lee Corso era) and Florida (during the Tim Tebow era), along with Clemson, Vanderbilt, North Carolina State, Sewanee, and the Parris Island Marines, just to name a few. Tangent #2: The Citadel actually has finished with Furman in twenty different seasons. In 1942 the two schools played on November 2. That would wind up being the last game of the year for The Citadel in a shortened season, as every available upperclassman was called up to serve in World War II. The Paladins played two more games that year. Furman also had its fair share of students who went to serve their country; neither school would field a football team again until 1946. The argument over whether the two schools should meet at the end of the season can be looked at in two ways: 1) How important is it to play a “rival” at the end of the season, and 2) how much tradition does The Citadel-Furman have as a year-end rivalry game? My answers would be 1) it’s of limited importance, and 2) not a whole lot. There are great end-of-season rivalries, of course — Army-Navy, Michigan-Ohio State, Harvard-Yale. 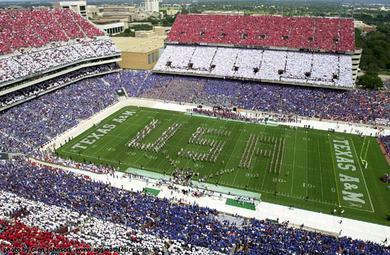 However, there are also great midseason rivalries, like Oklahoma-Texas, or Alabama-Tennessee. Then you have Southern Cal-Notre Dame, which is a midseason game in South Bend but is played near the end of the year in Los Angeles. What those end-of-season games have in common, for the most part, is that they have been the final game for each school for decades. That’s not something that can be said for The Citadel-Furman, a game that has been played more often in October (51 times) than in November (37). Part of this, of course, is how each individual fan views the series. For me, I have always thought of it as a midseason contest. When the game is played in Greenville, I picture a mid-October fall day with the leaves just beginning to change color. When it’s in Charleston, I think of gorgeous October afternoons, crisp and clear as the late-summer low country heat finally dissipates. I also think it’s not a bad thing that it is played at a different time of year than Clemson-South Carolina. I always felt the matchup was given short shrift from the state’s media entities when it was played on the same day. Having it at midseason gives it a time and place of its own in the state, and some additional publicity. I can understand why some Furman fans want the game to be the season finale. Back in that stretch during the 1980s when it was the final game of the year, Furman was at its zenith as a football program. Alums remember those days fondly and want to revisit them in every way possible. Homecomings on the Greenville campus usually feature men wearing Members Only jackets and women with shoulder pads bigger than those of the football players, many of them gyrating to the sound of their favorite band, Winger. Big hair is everywhere. The scene is very different at The Citadel, of course, as it is renowned as a forward-thinking institution, and its alums have led the way into the 21st century. Adam Mims is good. He already holds the Furman career record for receptions (157), and he added to that mark in a major way against a very good South Carolina defense on Saturday. Mims had 10 catches for 202 (!) yards, which included a 72-yard TD reception. Just for fun, he also had two rushes for 26 yards. In his previous two games against the Bulldogs, Mims has totaled 15 receptions for 156 yards and two touchdowns. Furman was trailing 31-19 with less than six minutes to play against the Gamecocks, but had the momentum and was driving for another score before an ill-fated pass resulted in a pick-six that iced the game. It would have been very interesting to see what would have happened if the Paladins had scored to get within a touchdown. I would not have bet against a 3-and-out for the Gamecock offense, and Furman then having the chance to drive down the field for a game-winning TD. That it didn’t happen doesn’t take away from Furman’s solid performance. 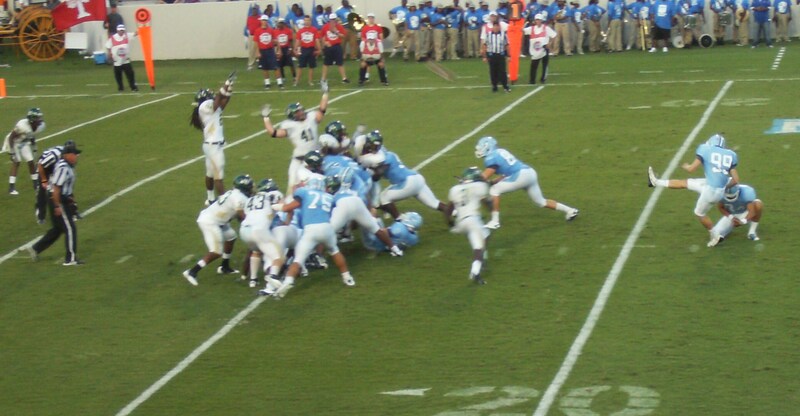 The Paladins scored as many points against South Carolina as the Gamecocks’ first two opponents combined, and those opponents were Southern Mississippi and Georgia. The bad news for the Paladins is that its two-quarterback rotation was reduced to one, as Chris Forcier (the “running” QB) suffered an injury against the Gamecocks and is out for the season. That leaves the reigns entirely to Cody Worley, the “passing” quarterback. This will be a blow for Furman (Forcier was averaging over 15 yards per rush, including an 85-yard TD against Colgate), but Worley seems more than capable of shouldering the load. I’m not sure how much more of a passer Worley really is as compared to Forcier, and at any rate I would expect him to do his fair share of running too. Furman rushed for 377 yards against Colgate, which is probably a better approximation of what to expect from the Paladins’ running attack than its numbers versus the Gamecocks. Tersoo Uhaa rushed for 126 yards on 16 carries. With that kind of success on the ground, the Paladins only attempted 18 passes, completing eleven — interestingly, to seven different receivers. Furman had two tight ends each catch one pass in that game, which is about four catches less than that position seems to historically have against The Citadel on a per-game basis. Speaking of history, starting tight end Colin Anderson is a direct descendant of the man who commanded Fort Sumter at the beginning of the Civil War. On defense, Furman appears improved from last season, although obviously it’s hard to tell after just two games, with one of those against an FBS opponent. The Paladins may be susceptible to the pass, but that isn’t likely to be a problem for them against the Bulldogs. However, I do expect The Citadel to go to the air a few more times than would normally be the case. The key man in the defensive unit is safety Max Lerner, who spends most of his time somewhere other than where the opposition wants him to be. He’s a very good player. How Furman chooses to employ him against The Citadel’s triple option attack will be something to watch on Saturday. Furman has dangerous return men. 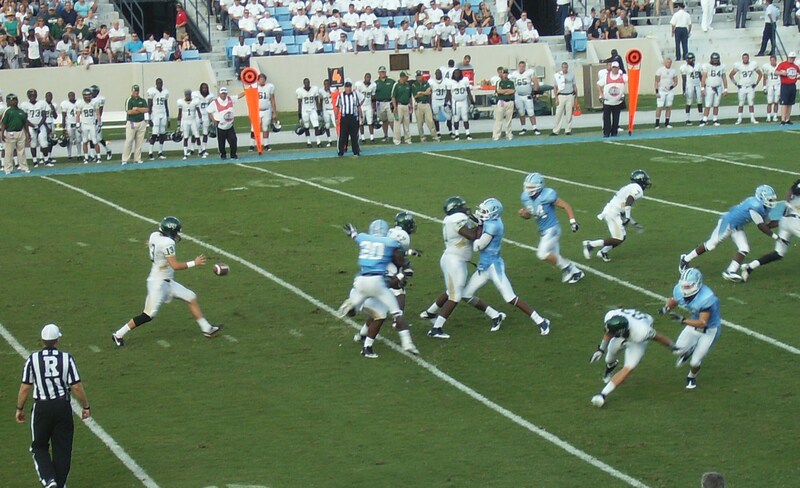 Mims handles the punt return duties, and the kickoff returners include Mike Brown, who had a 76-yard kickoff return for a TD against The Citadel in that nutty 2007 game. The Citadel is going to have a “red out” for Homecoming. I’m on record (from my preview of the Presbyterian game) as being a touch dubious about that one too, especially given the opponent, but it’s all in the name of merchandising. I don’t pretend to be an insider when it comes to The Citadel, so I certainly won’t try to suggest I know the inner workings in Paladin Land, but I have to wonder how big a year this is for Bobby Lamb. Furman fans are getting antsy about a playoff drought, and about being an also-ran for the SoCon crown in recent years. Losing three of four to The Citadel would not help the cause. 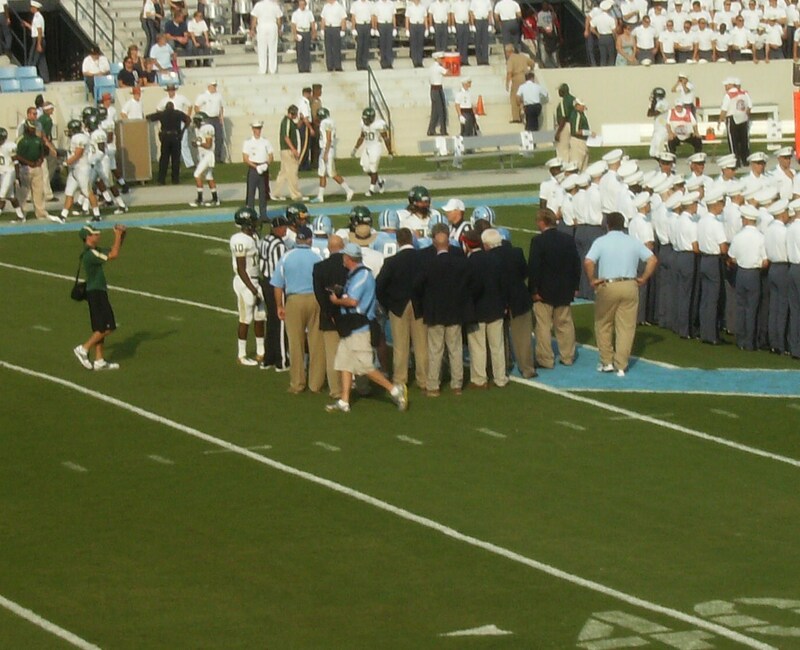 For The Citadel to emerge victorious in this game, it must win the battle of clichés. By that I mean it has to win the turnover battle and control the clock and field position. The time of possession is something that I think the Bulldogs can have some success in managing, but only if the defense can prevent the Paladins from those long, 70+-yard drives that Furman has specialized in over the years. You’ve seen the script: the throw down the middle to an open tight end…the delayed handoff on 2nd and 7 that goes for nine yards…the quarterback keeper for six yards…etc. The Bulldogs also need to avoid penalties. 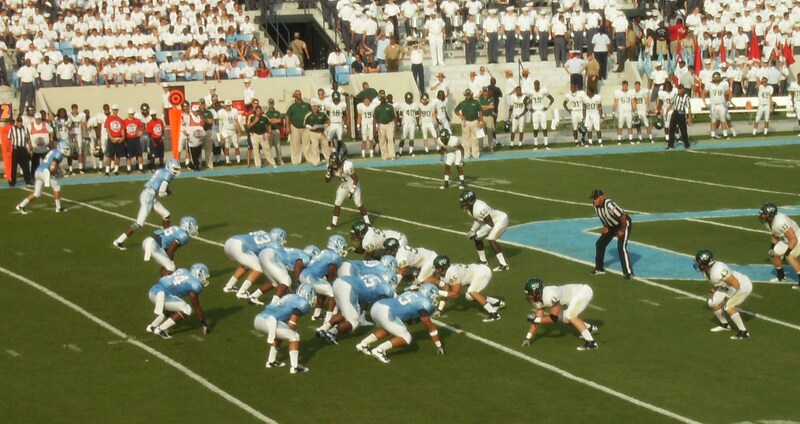 The Citadel committed only two infractions against Arizona, but regressed against Presbyterian. Penalties on offense are particularly costly in the triple option, as they throw the team “off schedule”. I don’t think The Citadel’s squad has many advantages in this game. One possible advantage is that the pressure should be on Furman, which has greater expectations this season and which excited its fan base with its excellent effort against South Carolina. With that considered, a good start for the Bulldogs would be particularly welcome. Regardless of how you feel about what time of year these two schools should play their annual football game, I think everyone agrees that September 25 is too early. For that, we can all join together to blame the SoCon league office. However, I’m sure all the fans and players will be ready to go at 2 pm this Saturday anyway.